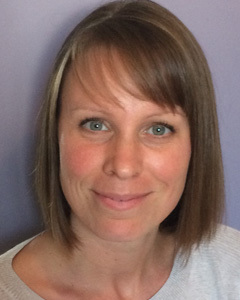 Centre for School Mental Health graduate student Melissa Coyne-Foresi has been selected as the 2017 Fall recipient of the W.A. Townshend Gold Medal in Education. The W.A. Townshend Gold Medal in Education is in honour of the Late Bishop Townshend of London, Ontario, and is awarded at each convocation to an MA student who has achieved the highest academic standing in his/her program of study. This study explored the benefits of youth mentors participating in the Fourth R: Uniting Our Nations peer mentoring program. Data were collected from 11 youth mentors via interviews and returned to them for interpretation and meaning-making through a statement sorting activity as part of a larger concept mapping procedure. Additional interview questions were explored through traditional thematic analysis. The findings indicated that mentors identified the program’s cultural relevancy, such as participation in cultural practices, connecting with their Indigenous peers in a group setting, and exploring their cultural identities, as the biggest benefit in their roles mentoring their younger peers. Other benefits reported by mentors included perceived intrapersonal (i.e. self-perception, self-confidence) and interpersonal (i.e. relationships with others, self-advocacy skills) gains as a result of their participation in the program, as well as improved connection to school. Youth mentors reported improved behavioural conduct at school, improved academic commitment, and improved school attendance resulting from their awareness of their positions as role models to younger peers. Melissa will continue towards her goal of becoming a school psychologist as she begins her PhD studies under the supervision of Dr. Elizabeth Nowicki this fall.